These projects bring direct investment in the form of contracts for raw materials and infusion of dollars to local services and retail businesses. During the construction phase of the projects, Okanagan Wind will create about 60 jobs. 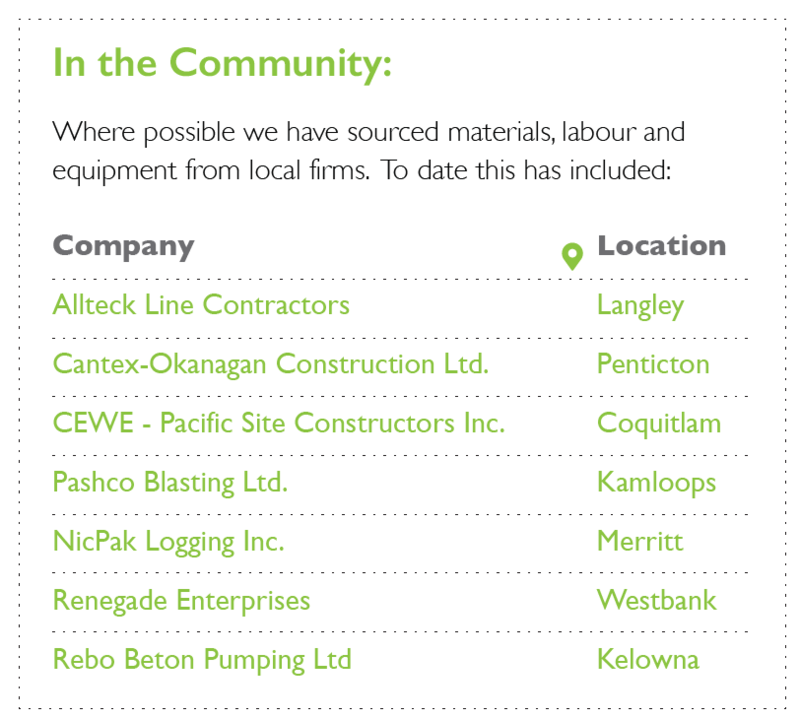 Where possible, materials, labour and equipment have been sourced from local firms. In addition, Okanagan Wind has established Impact Benefit Agreements with local First Nation communities to provide access to job and contracting opportunities, annual benefit payments to the community and funds to support scholarships.